Seagate claims that it's new Backup Plus Slim Ultra is the world’s thinnest 2TB mobile hard drive which also comes with 200GB of cloud storage. Seagate has launched the Seagate Backup Plus Ultra Slim, that the company claims to be the world’s thinnest 2TB mobile hard drive. It comes with a new design and in an even slimmer profile. At just 9.6mm, it is claimed to be more than 50 percent thinner than other 2TB drives available in the market. Available in gorgeous golden or platinum metal finish, the Backup Plus Ultra Slim are available exclusively on Amazon at Rs. 5699 for 1TB and Rs. 8399 for 2TB. The Backup Plus Ultra Slim also comes with 200GB of Microsoft OneDrive cloud storage and Lyve software compatibility as complementary which is valid for two years. 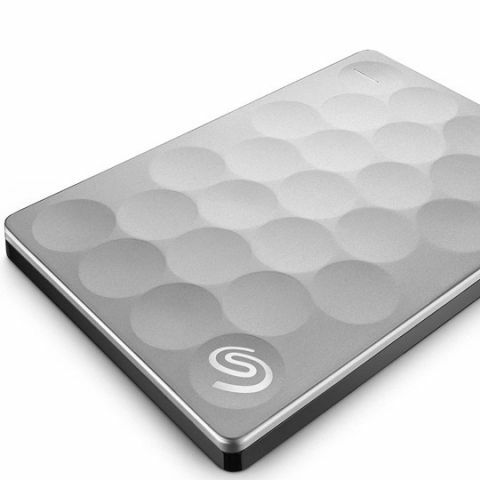 Seagate Technology plc (NASDAQ: STX), a world leader in storage solutions, today announced the launch of the Seagate® Backup Plus Ultra Slim, the world’s thinnest 2TB mobile hard drive. This new product builds on the award-winning Backup Plus Slim drive, delivering a stunning new design with the same leading capacity in an even slimmer profile. The Backup Plus Ultra Slim also includes 200GB of Microsoft OneDrive® cloud storage and Lyve® software compatibility, so users can back up, access and share their favorite files from any device or location. The Seagate Backup Plus Ultra Slim gold and platinum finishes are now available exclusively on Amazon India at Rs. 5699 for 1TB, Rs. 8399 for 2TB. How to partition Seagate FreeAgent GoFlex 2TB hard disk?